TORONTO -- The Ontario government executed a search warrant at the Volkswagen Canada offices on Tuesday as part of its investigation into an emissions scandal now entering its third year. The Ministry of the Environment and Climate Change said Wednesday it had charged Volkswagen AG with one count under the province's Environmental Protection Act last week, alleging the German company did not comply with Ontario emission standards. The allegations have not been proven in court. The Ontario government said the search warrant was part of its continuing investigation. "Yesterday, MOECC executed a search warrant at the company's Ajax facility. Under the charge, Volkswagen is alleged to have caused or permitted the operation of vehicles that did not comply with emission standards prescribed by Ontario regulations," said Environment Minister Chris Ballard in a statement. "If the allegations are proven in court, penalties for the offence will be determined following a sentencing hearing." He added Volkswagen owners, dealers, service managers and technicians are not the focus of the investigation. The company, meanwhile, said in a brief statement it is co-operating with the Ontario government and it would not be "appropriate" to comment further. The National Post newspaper reported late Tuesday night that a team of 24 people, including computer experts from the Ministry of Finance, arrived at the Volkswagen Canada headquarters seeking evidence at 9:30 a.m. Tuesday. The company says it is co-operating with the Ontario government and it would not be appropriate to comment further. "We’ll continue to co-operate with them until they have the information they require,” Volkswagen Canada spokesman Thomas Tetzlaff told the newspaper. “This kind of came out of the blue for us,” he said. “As such, it’s not something we find worrisome or troubling." The scandal began on Sept. 18, 2015 when the U.S. Environmental Protection Agency said the automaker was in violation of the Clean Air Act, alleging model year 2009-2015 VW and Audi diesel cars with 2.0-litre engines included defeat devices. VW eventually said about 11 million vehicles worldwide were affected.3.0 liter diesel vehicles were also affected. Because Canada follows the U.S. lead on emissions, the engines were also in violation of Canadian standards. Earlier this year, Quebec and Ontario courts approved a settlement agreement with members of a Canadian class-action lawsuit who bought or leased certain Volkswagen or Audi vehicles with diesel engines caught up in the emissions cheating scandal. It has been more than a year since Volkswagen agreed to pay more than $20 billion to settle criminal charges and civil claims related to the company's sale of nearly 600,000 cars with "defeat devices" designed to beat U.S. emissions tests. 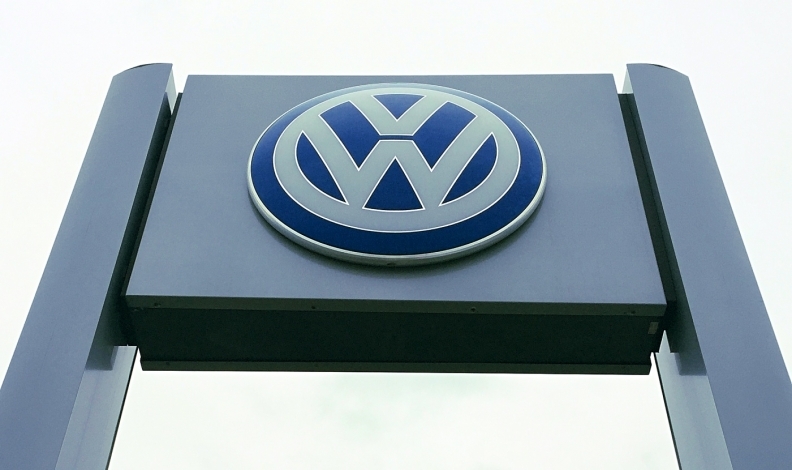 Volkswagen pleaded guilty in the United States after software was found in certain diesel vehicles that made it appear as though the cars were producing fewer emissions than they really were. In fact, under normal conditions, the cars emitted 35 times Canada's legal limit on nitrogen oxides, which have adverse effects on human health and contribute to climate change. About 105,000 of the rigged vehicles were sold in Canada and Volkswagen has a court-certified settlement program underway to buy back the cars and compensate Canadians who owned or leased them. Tony Faria, an auto industry analyst at the University of Windsor, said it's not surprising that Ontario is laying charges two years after the scandal erupted. "Officials everywhere, not just in Canada but in the U.S., Germany, many other countries where many Volkswagen vehicles had been sold, they're all still looking into it and at this stage Volkswagen still isn't finished by a long shot with all of the court cases they have to face," he said. He said the scandal has affected the entire market, noting Germany and France have announced plans to phase out diesel engines over the next 20 years. The federal government should be moving ahead with action against Volkswagen in the wake of news that Ontario has charged the company and carried out a raid on its headquarters, according to an environmental organization. "It's good news, finally. Now if we could just get Environment Canada to act on behalf of the country, that would be a great thing," said Tim Gray, executive director of Environmental Defence. He said the federal government has broader powers than the province and can impose higher fines on offenders that could be used to protect against pollution and accelerate the transition toelectric vehicles. His organization and the Canadian Association of Physicians for the Environment filed suit over the summer to try to force Environment Minister Catherine McKenna to move forward on enforcing Canadian pollution laws allegedly broken by Volkswagen. A statement from McKenna at the time said her department is investigating and will act if necessary. The department did not immediately respond Wednesday to a request for an update.